The weather is warming up and summer is not too far away, so now is the time to freshen up your skincare routine for Spring. A few small adjustments that take into account the shift in climate as the seasons change gives skin the best chance of looking bright and healthy. The best way to mitigate seasonal skincare challenges is first to have a steady skincare routine, using products which compliment your skin type. A regular routine helps keep skin happy and less inclined to react to climatic changes. It only needs to take a extra 5 minutes a day and skin will look much better for it. Spring is the perfect time to invest in your cleansing regime to reveal clearer and brighter skin. Spend a couple of minutes working your cleanser into the pores for a deep clean, focusing on any congested areas. 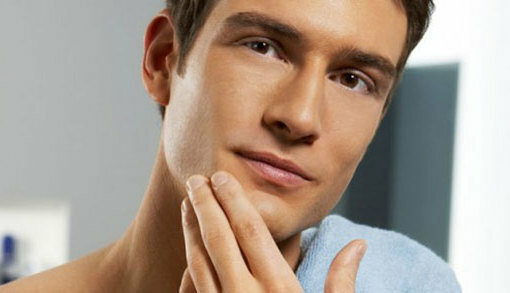 Try STOER Foaming Face Wash (£24) which helps keep skin free of grease and grime while protecting and hydrating. Exfoliating your skin will immediately make it look better. One key product to use after winter in preparation for spring is a face scrub to shed away dry dead skin cells revealing a fresher, smoother complexion. This process can also lift stubble to help prevent ingrown hairs and razor bumps and also allow serums and moisturisers to work more effectively on the skin. Try gentle, yet effective STOER Detox Face Scrub (£27) to remove dead cells and unblock pores. Warmer weather can mean more ‘shine’ for oily or combination complexions. You shouldn’t avoid moisturiser altogether, but if you are prone to a shiny nose and forehead, instead choose a mattifing hydrator. Try STOER Firm & Protect Hydrating Serum (£40) which is rapidly absorbed with a matte-finish to help keep shine at bay. Clay masks are great for removing blocked pores, but overuse can dry out skin. If skin is looking dull, dry and lacklustre, super charge your skincare routine by using a vitamin-loaded face mask to give skin the vitamin boost it needs to be fresh faced for Spring. Try STOER Vitamin Power Mask (£35) once a week to replenish the complexion.